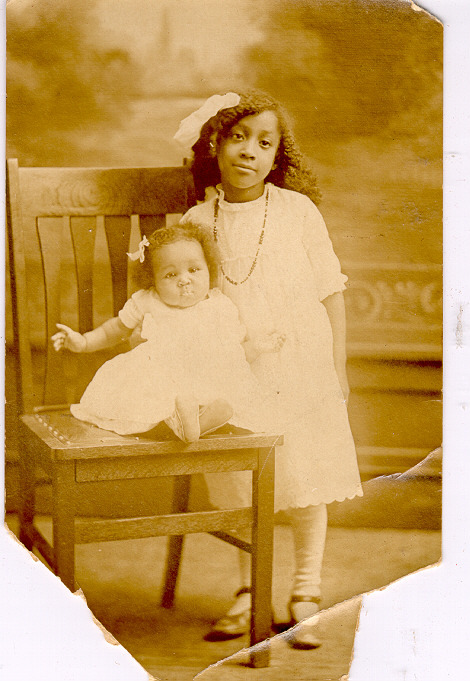 Comments: Cecelia Wilson (Nee: ) | MA United States | 1901-1920 | Comments: This is a pair of African-American girls on a real photo postcard. The reverse reads "Cecelia & Elizabeth Wilson Sept. 28 1917". It was found with Bertha Harris Wormley's photos. She was an affluent African-American from Massachusetts.